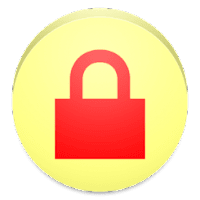 Internet Lock helps you password protect your Data Connection or Wifi Connection easily. OR your kids/friends delibrately used your Wifi/Data Connection for downloading movies/games/videos. If any of above scenario is your problem, then Internet Lock is FOR YOU!!! Internet Lock enables you to protect your Wifi and Data Connection by setting up a secret PIN. Nobody will be able to connect Wifi/Data Connection unless they know the secret PIN. It does not require complex configurations or anything, you can just install the application, setup a pin and get protected in seconds. It is very lightweight and requires very less disk space and memory. - Security can be temporarily disabled if the user wants. That is, if you think nobody else is going to use your device then you can just turn off the security by going to settings. By doing this, you will not have to enter your PIN each time you connect to your Wifi/Data connection. - User has the option to protect Wifi Only, Data Connection Only or BOTH. Useful in situations if you have an unlimited plan at your home or office, you can simply disable Wifi protection. password protect data connection, password protect wifi, lock wifi, lock data connection, lock internet, block internet, block data connection, block wifi access.